Long Beach, Calif., rapper and entertainer Snoop Dogg will be on hand with other celebrities to help raise money for the Flint, Mich., water crisis during the second annual Hoop 4 Water celebrity basketball game next month. According to MLive, the event is organized by the Morris Peterson Jr. Foundation and is scheduled to take place May 20 at the Dort Federal Event Center in Flint. 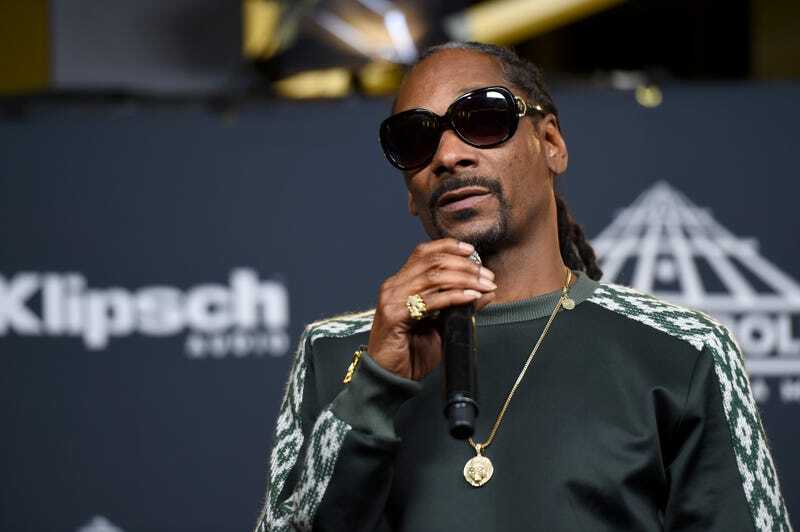 This won’t be Snoop’s first visit to Flint; he visited the city a number of times in 2016 and 2017, including a visit during which he met with Mayor Karen Weaver to discuss the city’s water crisis as well as a Flint medical-marijuana dispensary. Snoop worked with Peterson, who is an 11-year veteran of the NBA and a Flint native, on the inaugural Hoop 4 Water event through Peterson’s foundation in May 2016. That event boasted a celebrity roster that included Detroit Lions tight end Eric Ebron, Spartans head basketball coach Tom Izzo, journalist Sway Calloway and Lexi Breed, the daughter of legendary Flint rapper MC Breed. The complete list of celebrities who will appear at the 2017 event has not been announced yet, but tickets are already on sale. VIP-ticket purchases will include a meet-and-greet with Snoop Dogg and Peterson, as well as a gift bag full of swag.